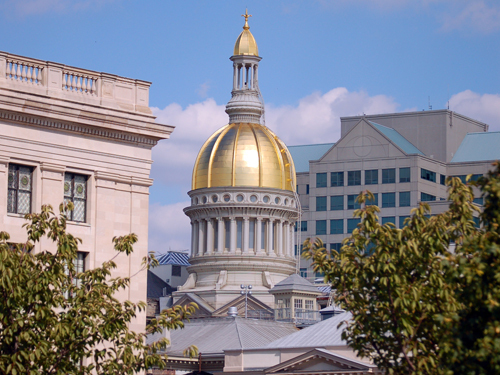 The New Jersey Senate voted unanimously Tuesday to approve the Historic Property Tax Credit Act (S-659), which now awaits the governor’s signature. (The Assembly has already passed an identical version of the bill.) The measure is the result of years of work by our friends at Preservation NJ and others, and enjoys bipartisan support for its economic development potential. If the bill is signed into law by Governor Christie, New Jersey will join 31 other states, including neighbors New York and Delaware, which offer a historic preservation tax credit. …would create two tax credits for 25 percent of the taxpayer’s outlay for rehabilitating a historic property: one for homeowners, which would be capped at $25,000 per property during a ten-year period; and one for businesses, which would be uncapped. The homeowners tax credit would apply against the homeowners’ gross income tax liabilities, while the business tax credit would apply against the businesses’ corporation business tax and insurance premiums tax liabilities. Qualifying properties would be required to be listed on the National Register of Historic Places or the New Jersey Register of Historic Places – either individually or as part of a historic district – or designated by the State Historic Preservation Office or other state or local organization as contributing to a district’s historic significance. It is unclear whether the Governor is inclined to sign or veto the bill, though there are many good reasons for him to sign it. Reusing historic buildings is a core principle of smart growth, and can lead to the revitalization of entire neighborhoods. Moreover, at a time when developers boast about their LEED rating and towns compete to be certified as “sustainable,” it is often overlooked that the greenest building is the one that is already built. Finally, this tax credit can have a real boost for the state’s economy and the development industry, as Preservation NJ makes clear in its new fact sheet on the economic impact of the bill. 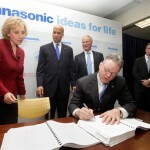 November 4, 2009 What Will Smart Growth Look Like in a Christie Administration?